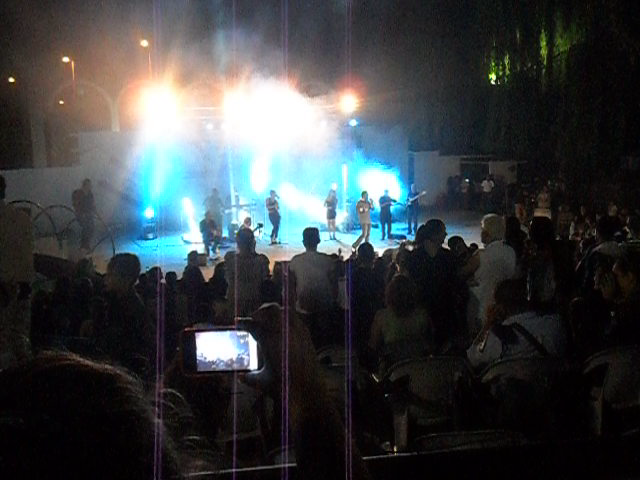 Last night, Kobi Peretz, a Mizrachi pop star in Israel, came to grace us with song and music in an event sponsored by some government organization and arranged by the City Hall of Ma’alot. This event is timed to be the “End of the Summer” festivity, in particular, for all the school children returning to their studies. Held in a park at the first entrance of Ma’alot it is easily accessable for all residents of all the surrounding villages. As a flashback, last year there was a slightly different themed show in where there were local musical performances and a slew of stand-up comedians, many of them from Israel’s top comedy shows. I arrived a little late as I had just come back from an Army meeting in Haifa but as soon as I went through security I knew I had not missed any of Kobi Peretz. 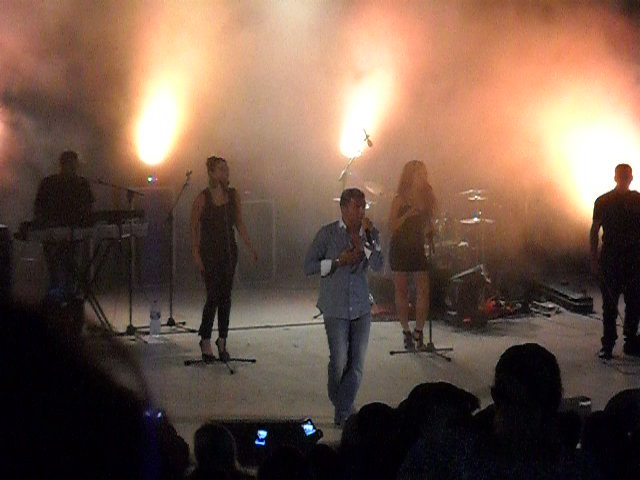 Another singer, this one a winner of “Kochav Nolad” (“A Star is Born” – the Israeli equivilant to “American Idol”), was crooning away for the still assembling audience. People were buying pizza, popcorn, drinks and other snacks in preparation for the highlight of the night. 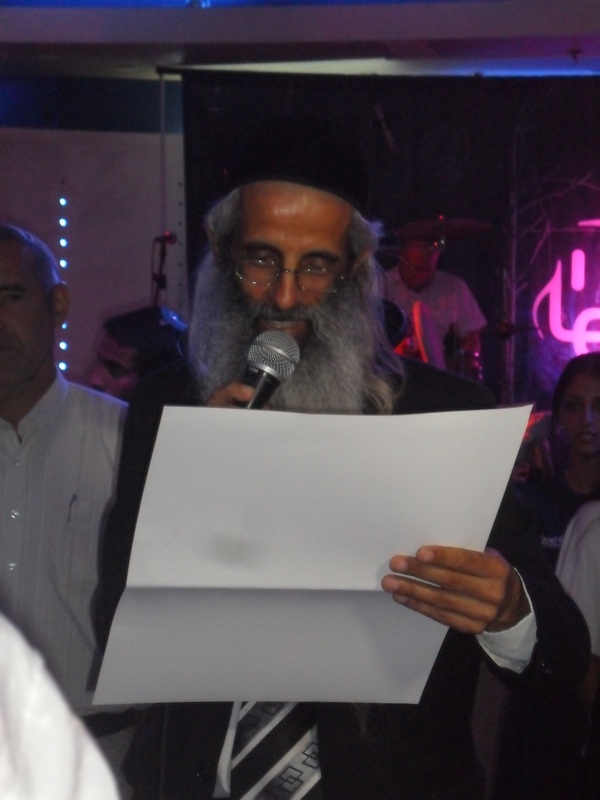 Soon after, the “Kochav Nolad” star stepped down and a dignitary from the City Hall spoke and gave thanks to those bodies at work, trying to provide the citizens of Ma’alot, Tarshicha and the surrounding villages with a BOOM that would end the summer. 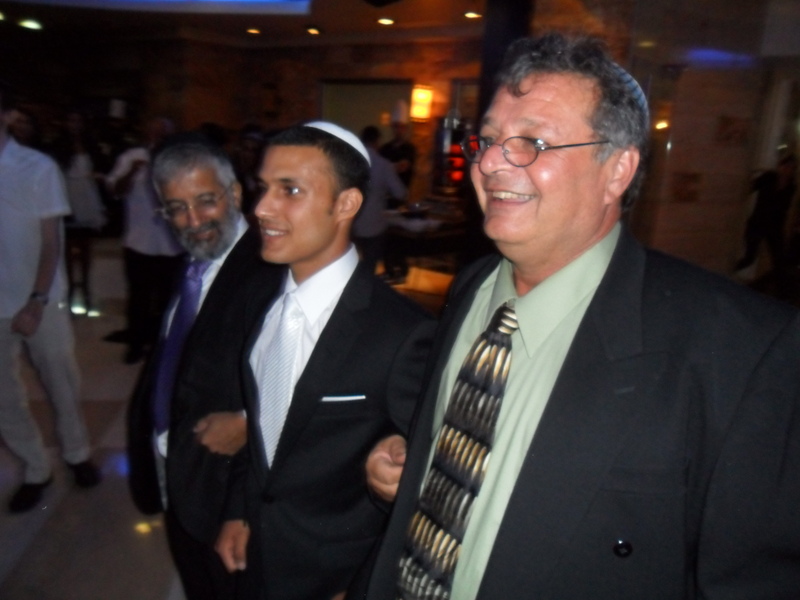 As soon as the formalities and introductions were cleared Kobi Peretz was announced. Blue lights and thick smoke obscured the musicians as they sat down and began the hype. A few minutes later Kobi Peretz’s silhouette could be seen through the smoke as he advanced on the myriads of excited youngsters. 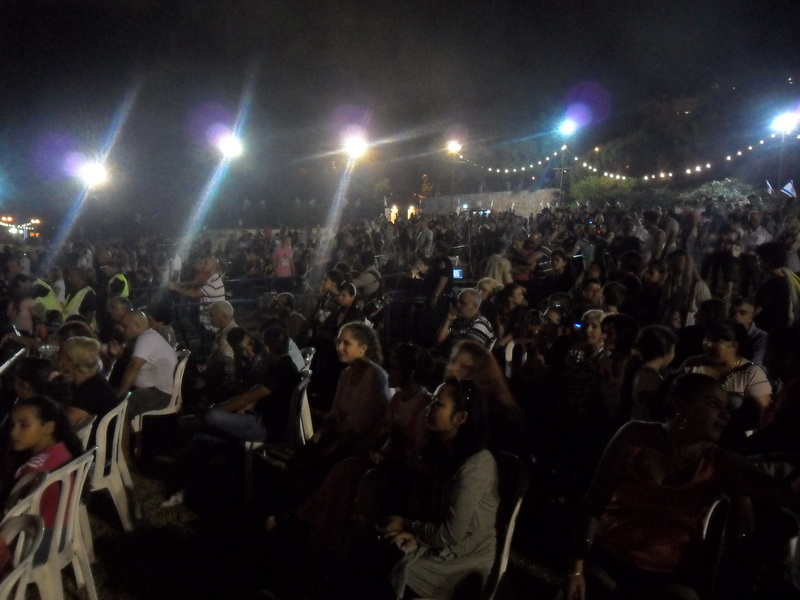 And then it began… the concert of Kobi Peretz. The first song came and went, Kobi Peretz went from side to side giving high-fives and whatever else it is that singers do at the front row. 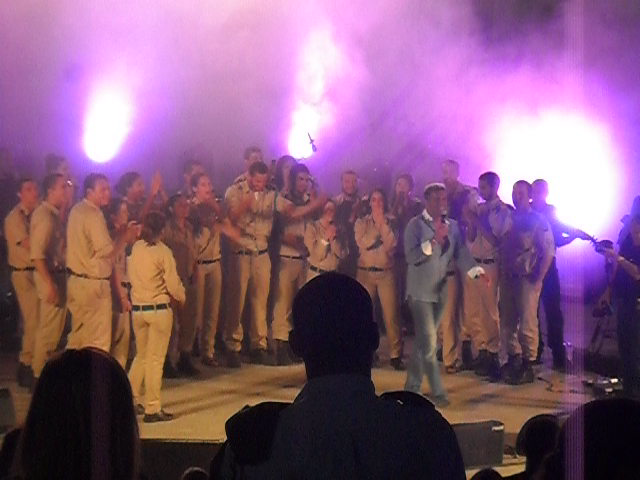 He then announced that there was a unit in the crowd from the IAF (Israeli Air Force) and asked them to come onstage with him. They did so, quite happily if I might add. 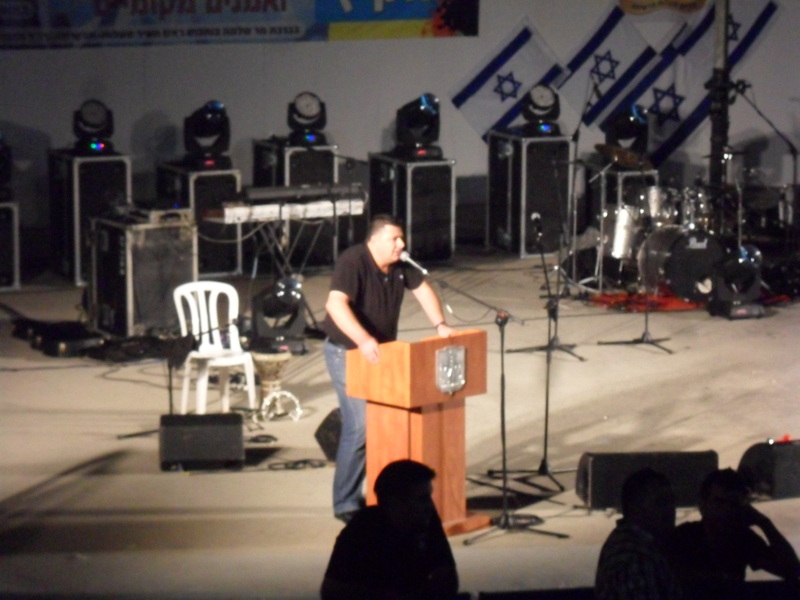 The crowd of at least 1,000 strong went on and on, singing with Kobi Peretz and the soldiers as he passed the mic around to them. The soldiers stayed onstage forever until one of the security details hinted for them to walk off. People gave them thumbs-up as they walked back to their seats, each of them a star for a moment. 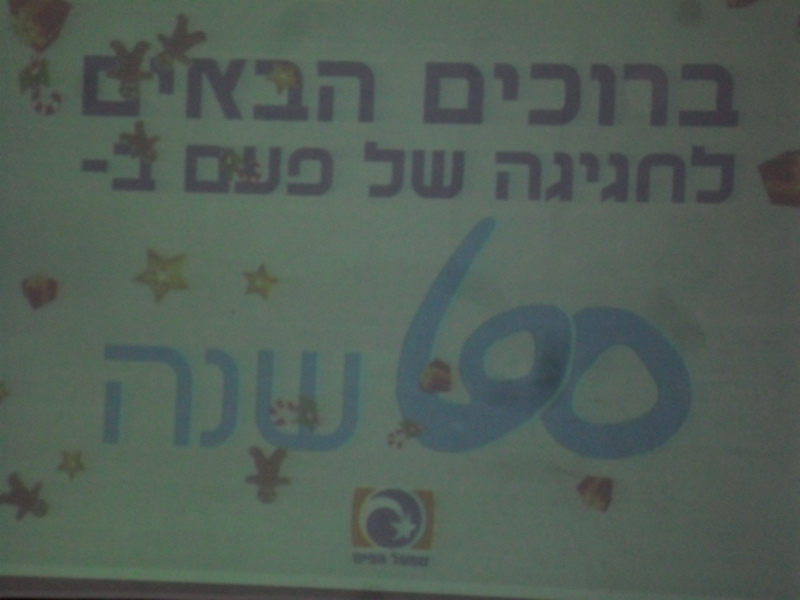 Of course, Kobi Peretz also did stuff with the citizen attendees, he held a baby onstage and donned a scarf from one of the world’s soccer teams (sports eludes me so I do not know which team it was). There was also two children/teens in wheelchairs so he made a special effort to excite them too. With one he went over and gave a blessing that she should be up and dancing soon to which hundreds of people said “Amen” to. The other Kobi went up to him and spoke words of encouragement and sang a song special for the handicapped child/teen. The following picture was taken right at the wheelchair with Kobi Peretz making merry in front of the boy. Last night two friends of mine got married, and to make it better they married each other. 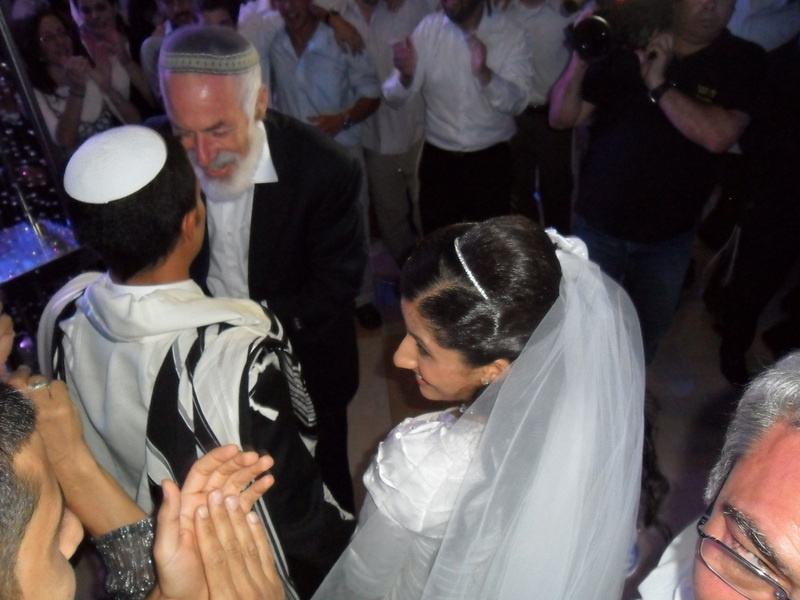 I had met the Adam the chatan (groom) in Yeshivat Hesder Ma’alot as he was a “chutznik” from LA and through him I met Batel the kallah (bride), also of Ma’alot. We would hang out and make BBQs and talk about the future. They decided to get married in August of 2011 although he was already enlisted in the Army and she was in University. We all waited for the day where these two would be wed, and that day was yesterday. I took a bus to Karmiel, where the wedding was to be held, and decided to walk to the hall from the bus stop (not a far walk). On the way I met Adam and got a ride with him to the wedding hall. This was to be his first visit to the building due to his Army schedule so he needed help with the directions. Luckily, I had brought along the invitation envelope which has a map of the relevant area of Karmiel on the back. We found the place and got out eager to see what was inside. As usual, with Israeli/Mizrachi events, the hall is one of curious colouring. Lights of blue, red and purple allowed us to see the event in a festive way. And unlike the weddings I have been to in the US, here it is fairly casual, by dress and by decorum. Batel, the kallah, was already there with her family taking pictures so they stuffed Adam into a room as not to see his bride. My friends and I stayed with him awhile and brought him food from the appetizer buffet. This was my first Israeli/Mizrachi wedding but I had previous experience with the traditional appetizer buffet course so I made my way through the room with my plate, with success. There was, as Mizrachi tradition does all but dictate, a schwarma and falafel guy ready with pitas cut in half. There was a sushi station from which I did not partake. There were multiple meat stations and a parve (neither dairy nor meat) ravioli station. And of course, an open bar with multiple beverages of both the alcoholic variety and the non-alcoholic variety. In due time a scotch and soda was ordered and presented in a fine glass tumbler. After about an hour most of the guests were present and had had their share of the buffet food. Adam was allowed out for a brief reprise while Batel was stashed somewhere. 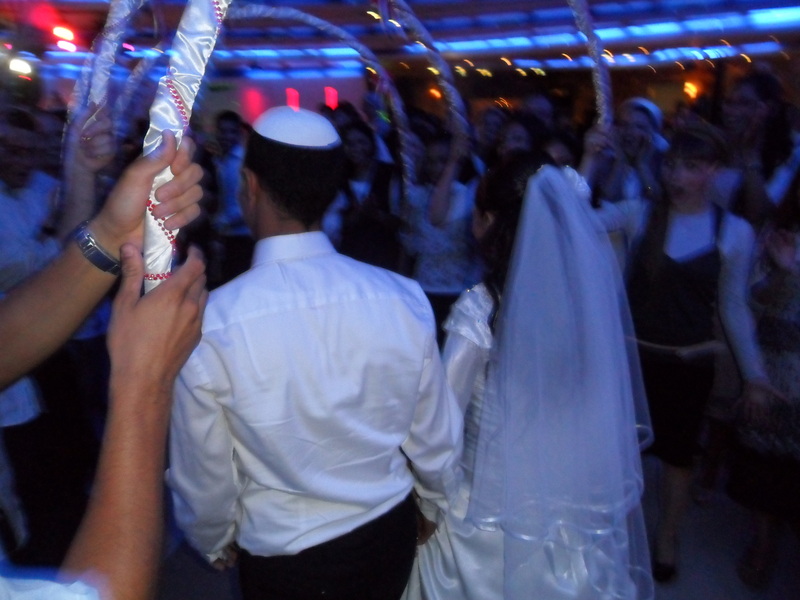 After a few more minutes of dilly-dallying, the groom was led out and came back when the kallah was ready, escorted by song and dance provided for by his family and friends. He was taken to the bride who was seated amongst her family and friends (this part was divided by gender), he lifted her veil to assure that yes, she was Batel, the girl whom he wished to wed. His father and father-in-law to be then took his under the chupah (wedding canopy) where he stood and awaited Batel who was, in turn, brought by her mother and mother-in-law to be. 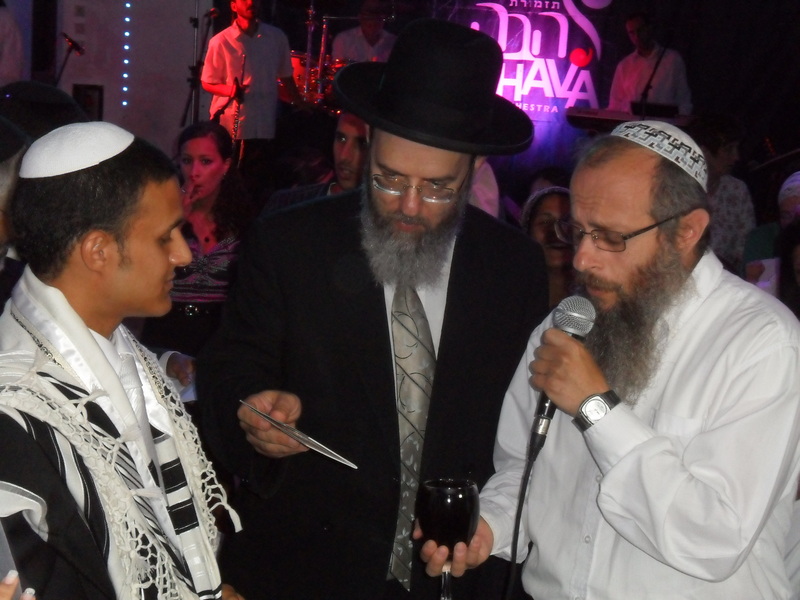 The rabbi, Harav Yagoda, a dayan (judge) in Haifa and an esteemed community rabbi in Ma’alot, stood with the young couple and their parents and began the ceremony. 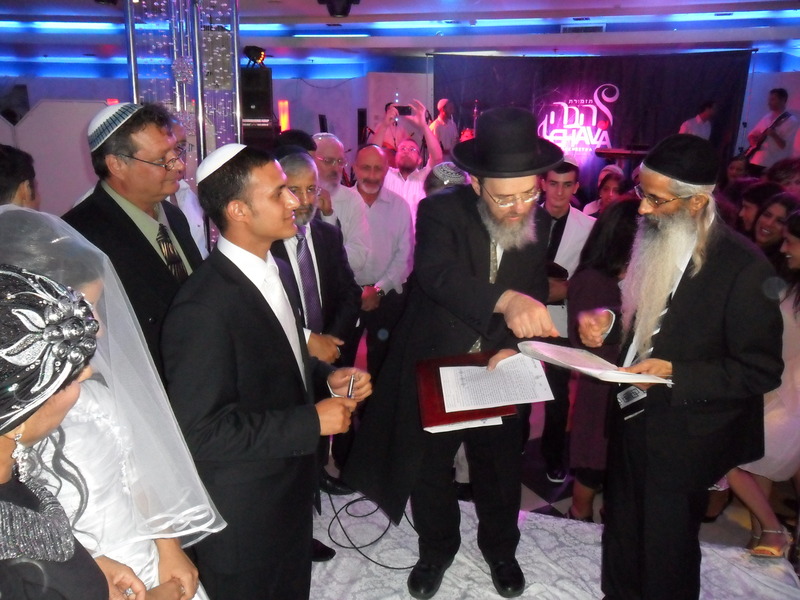 Batel’s uncle Suleiman read the ketubah (a special Jewish prenuptial agreement – mandatory) and two witnesses signed it. Then Adam put the ring on Batel’s finger signifying his marriage to her, in front of two official witnesses who testified that the simple gold ring is worth at least a peruta (ancient coin worth about 25 cents USD). Blessings were then said, all seven of them, by family and family friends. After the blessings Adam then broke the glass, a tradition stemming from the destruction of the Temple in hopes to remind ourselves that even in the greatest moment in one’s life he is still without the Temple of God. 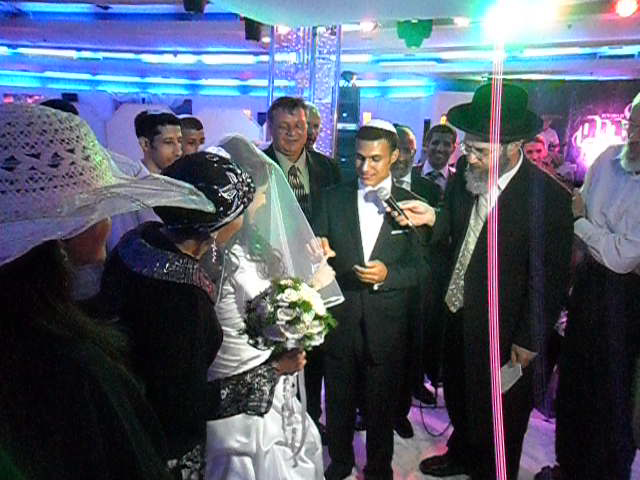 Everybody clapped and sang as the young couple were then escorted out to the yichud room, the final stage of marriage. The guests all sat down for the first course to be served. I selected something with lamb. It turned out to be ground lamb in a filo dough wrapper with a side of mashed sweet potatoes and leaves. There were also numerous Israeli salads on the table with a big plate of hummus and warm bread. A whiskey and coke sat to the upper left side of my plate opposite the wine glass. Sometime later Adam and Batel emerged from the yichud room to sit down and eat. What followed was dancing and merry-making with the chatan and kallah paraded around like the true celebrities they were that night. 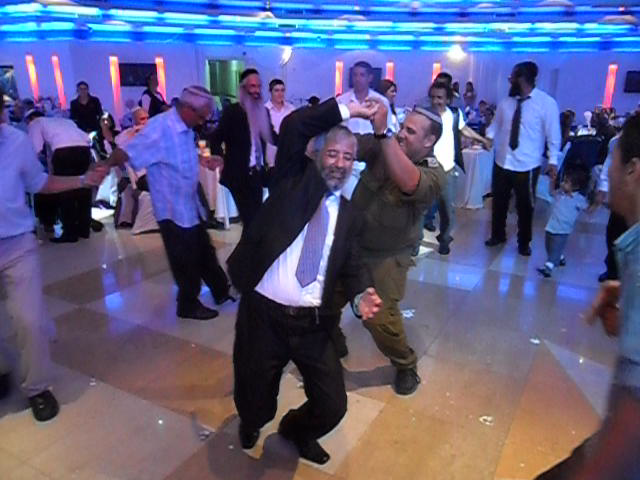 At one point Yemenite music was played by the band and Batel’s father and a family friend in fatigues, also Yemenite, began the special Yemenite dance (at least that’s what I call it). Among the merry-makers were Batel’s brothers, many of them quite athletic. 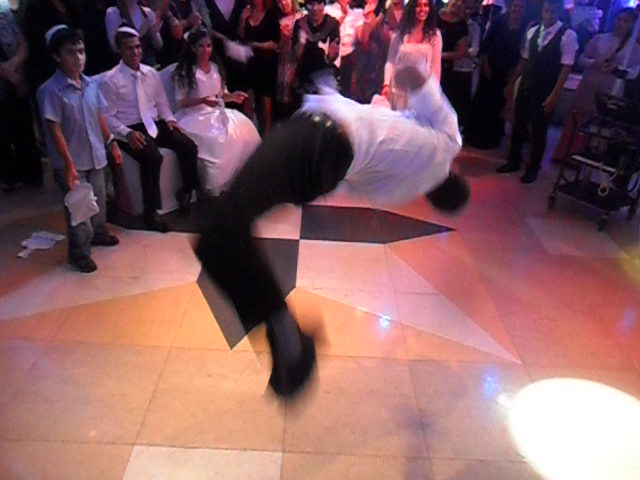 They did flips and basic break dance moves as well as some synchronized leaping thing that was most enjoyable to watch. More song, more dance and more food made their appearances as the night grew long. I needed to get back to Ma’alot somehow so I was forced to leave a little early to catch a ride with some family friends. However, this was the first time I have attended one of my peer’s weddings and I was overfilled with new memories and a warm special feeling for the happy new couple. 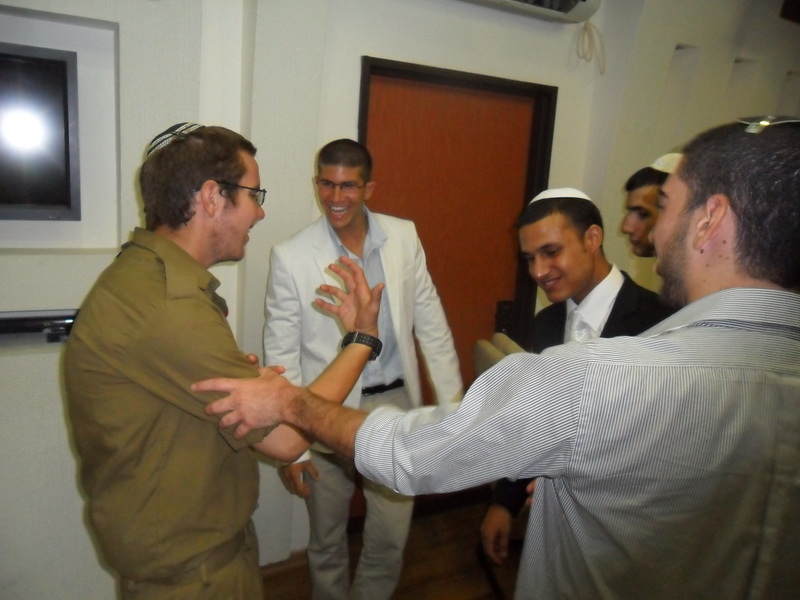 May they be zocheh (merited) to build a happy and successful home in Israel!